While most gadgets and devices announced at CES look “techie”, Sony has come to Las Vegas with some beautiful products that may not fit that mold. Like its Aibo RoboDog, which if reports are anything to go by, could just have stolen the show and a few hearts at CES. 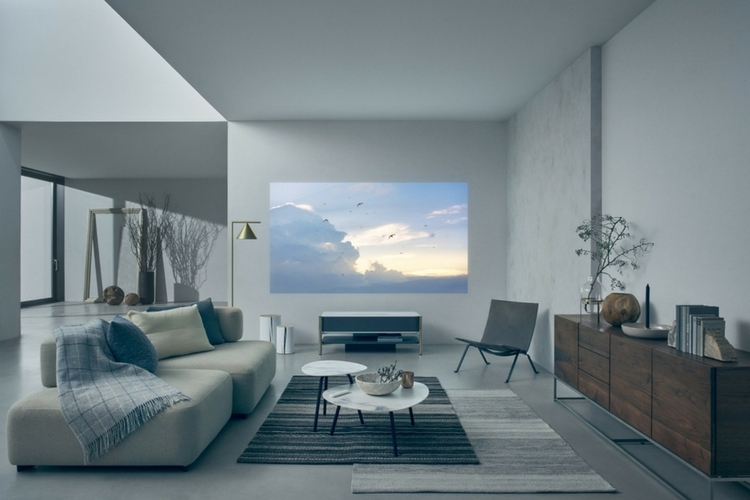 But it’s the shiny 4K Ultra Short Throw Projector – the LSPX-A1 – that really takes the cake, combining art, luxury design and modern technology. In fact it looks good enough to be used as a console unit, even if it didn’t pack some cutting-edge technology. The table features a short-throw projector which sits right on the engineered marble top and there’s a half-mirror finished aluminum frame, this projector is a nothing short of gorgeous living room décor. And yes, you can also binge watch Netflix on this. The LSPX-A1 is capable of projecting a 120-inch wide image from a 9.6-inch distance. It can reach a brightness of 2500 lumens and deliver native 4k with HDR. Another stand-out feature is the Glass Sound Speaker that pushes out 360-degree audio. Collectively, it has two organic glass tweeters in the front legs, with three mid-range speakers, and a separate subwoofer around them. The audio from the center speaker bounces off the wall to be amplified. The package includes a controller sporting suitably ‘minimal’ buttons, and the projector itself can be connected to an array of 4K streaming devices. With the engineered marble top, half mirror finished aluminum frame, and wooden shelf, the LSPX-A1 enriches your living environment while complementing its décor. The premium furniture-like design blends into your living space and appears as an attractive piece of furniture rather than a component-heavy entertainment system. The thoughtful design of the rear cover allows for easy cable management to conceal connectors hidden within. So if you’re looking to enrich your living room environment, you can buy this ludicrously priced projector. 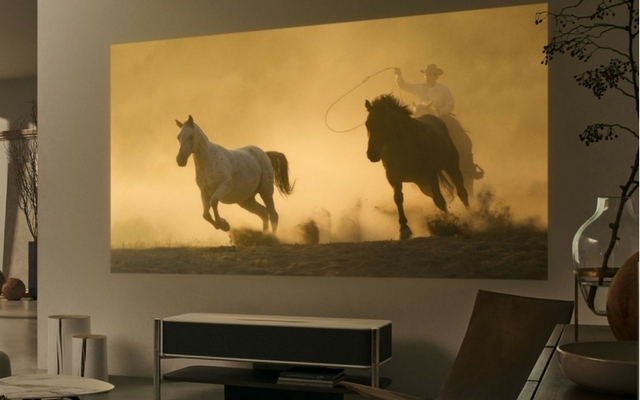 Or you can also check out LG’s new 4k projector, which is also fresh off of CES show floor.